A space-age contraption with gravity-defying aspirations, Aerobie is responsible for creating the long-flying “superdisc” that broke Guiness World Records when it soared 1,333 feet into the air. The same mastery of aerodynamics comes into play here, with this peculiar and lovely device for brewing coffee. 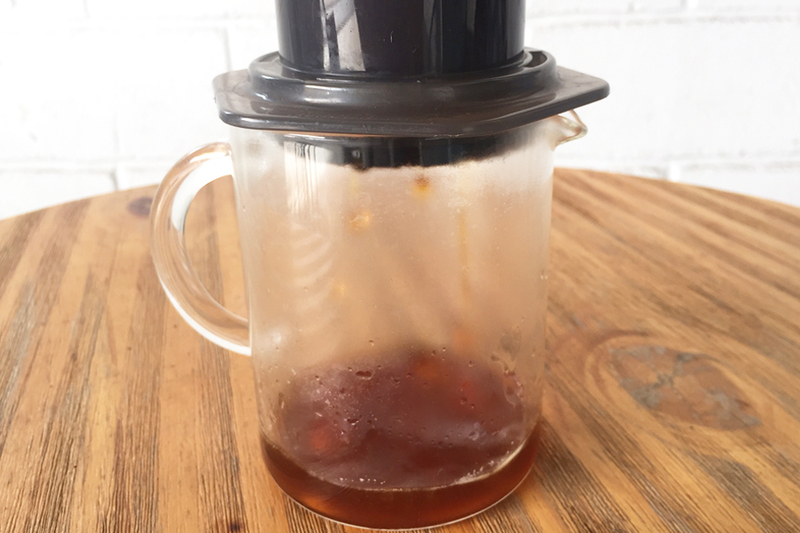 Insert a paper filter into the AeroPress's detachable plastic cap. Use some of your hot water to wet your filter and cap. 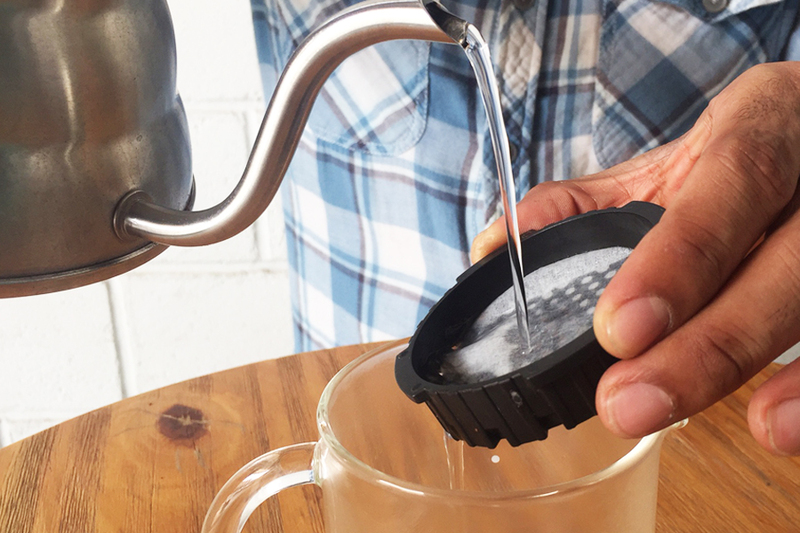 The water serves a dual function here : It helps the filter adhere to the cap, and heats your brewing vessel. Hold the cap by its “ears” and pour the water very slowly so it can be absorbed by the filter. 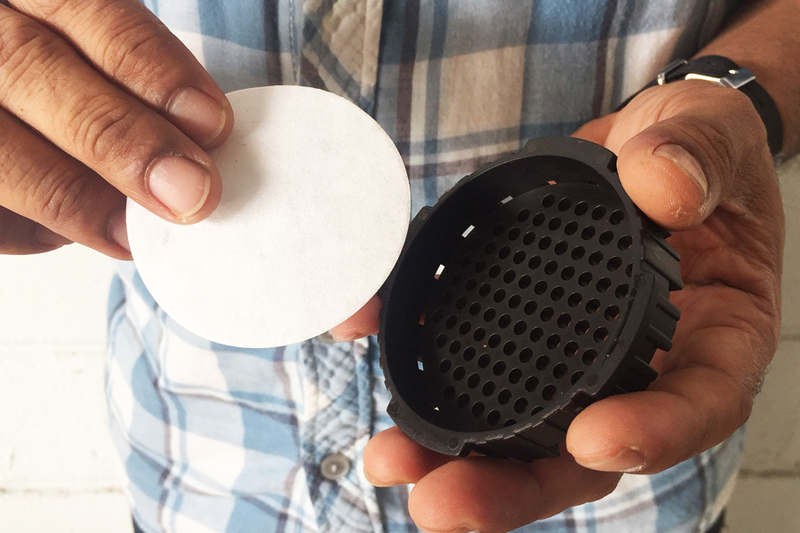 Insert a paper filter into the AeroPress's detachable plastic cap. Use some of your hot water to wet your fil ter and cap. 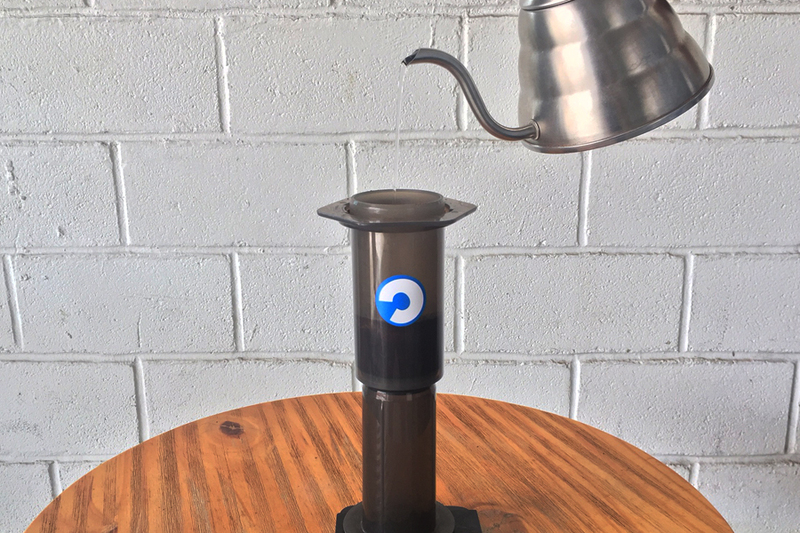 The water serves a dual function here : It helps the filter adhere to the cap, and heats your brewing vessel. Hold the cap by its “ears” and pour the water very slowly so it can be absorbed by the filter. 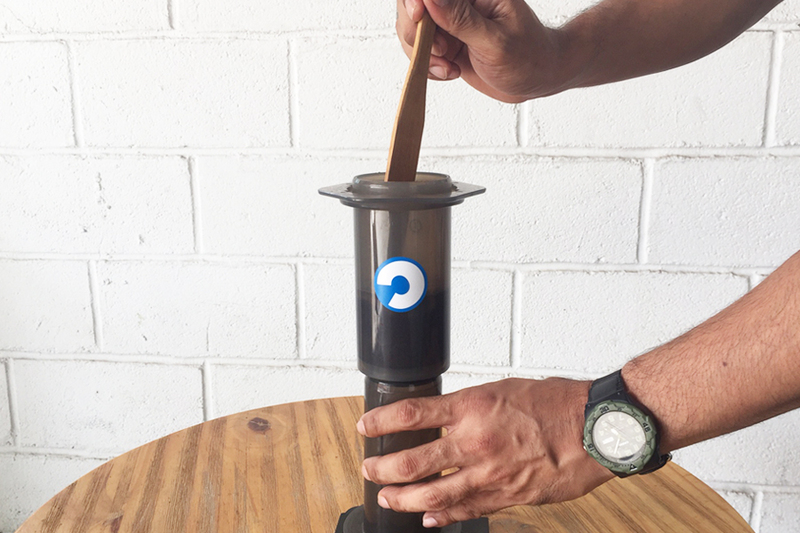 Assemble your AeroPress. Make sure the entire assembly is dry. Place it on your scale with the flared end up, then tare the weight. The numbers should appear upside-down. Add your ground coffee. 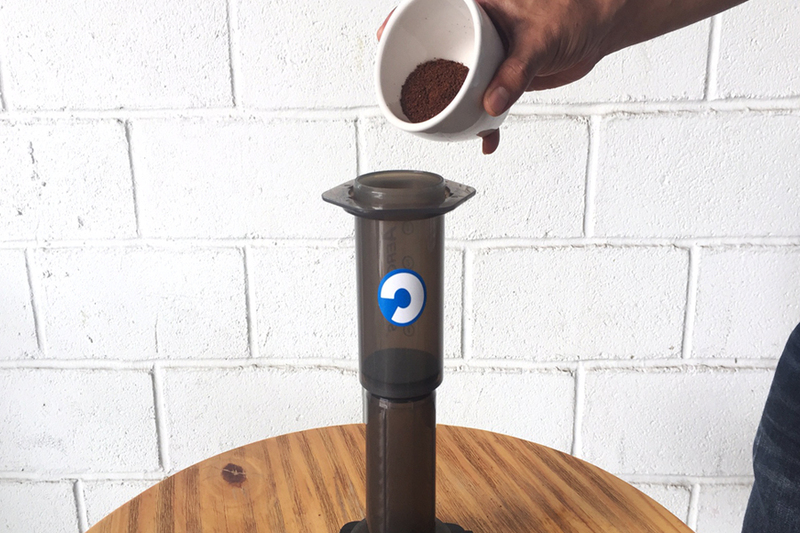 Be careful not to spill any grounds into the ring-shaped gutter at the top of the AeroPress .  Add twice the weight of water than you have grounds (e.g., for 15 grams coffee, add 30 grams water). The water should be about 93°C. Make sure the coffee is saturated evenly, tamping slightly with the paddle and let it sit for 30 seconds. Then use the remainder of the hot water to fill the chamber. Fasten the cap, ensuring it locks into the grooves tightly. Flip the whole assembly, position it atop your brew vessel and begin applying downward pressure. Your coffee is fully brewed once it begins to make a hissing sound.